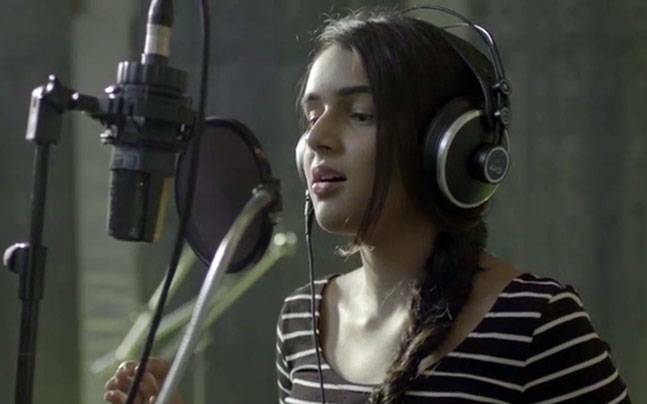 Kaveri Kapur is an Indian singer who is only 15 years old and recently released an English song 'Did You Know' on Youtube and received a huge set of response from public especially Bollywood stars like Shah Rukh Khan, Hrithik Roshan, Karan Johar, Priyanka Chopra, Farhan Akhtar etc.. Her silky, passionate and confident voice tone have really made them go with the flow. She is quite pretty in looks and far resembles with her mother Suchitra Krishnamurthy. Apart from her extraordinary singing capabilities, she is also a very good writer and composer. She has actually composed the song 'Did You Know' also. 15 years old Kaveri was born to the actor-director Shekhar Kapur and her mother Suchitra Krishnamoorthy who is also a famous and popular writer, actress, painter and singer. Her parents were divorced in the year 2007. Her mother has made her Bollywood debut with the movie 'Kabhi Haan Kabhi Naa' in opposite to King of Bollywood Shahrukh Khan. Great actor Devanand was also associated with her family. What a gorgeous voice!!!!! @shekharkapur @suchitrak ...you must be so proud!! You go girl!! #Kaveri, this is very cool. Congratulations & shine on beautiful. Saw her as a kid in a recording studio once, working hard and here she is today. Well done Kaveri. God speed.